I have ALWAYS loved battle damage Heman so I worked him into this piece for Powercon 2016!! I'm age 10 all over again! Hell, I've been lucky enough to BS with the live-action film's director a few times on Facebook. And yes, I love that movie, even if a lot of the stuff from the cartoon was NOT in there. Is this available for purchase as a poster by any chance? either way it looks awesome. Great details. Teela was never hotter! Awesome! 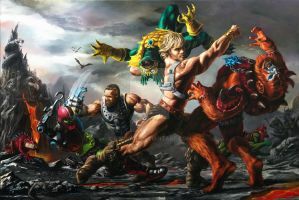 One of the best He-Man illustrations I have ever seen! Stunning work! Love seeing He-Man in his Battle Armour. And I really like how Evil-Lynn has a yellow tinge to her skin like her classic toy. 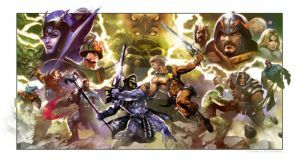 This is awesome, is it possible to buy as a poster? Your art work is always stunning and nothing short of amazing. 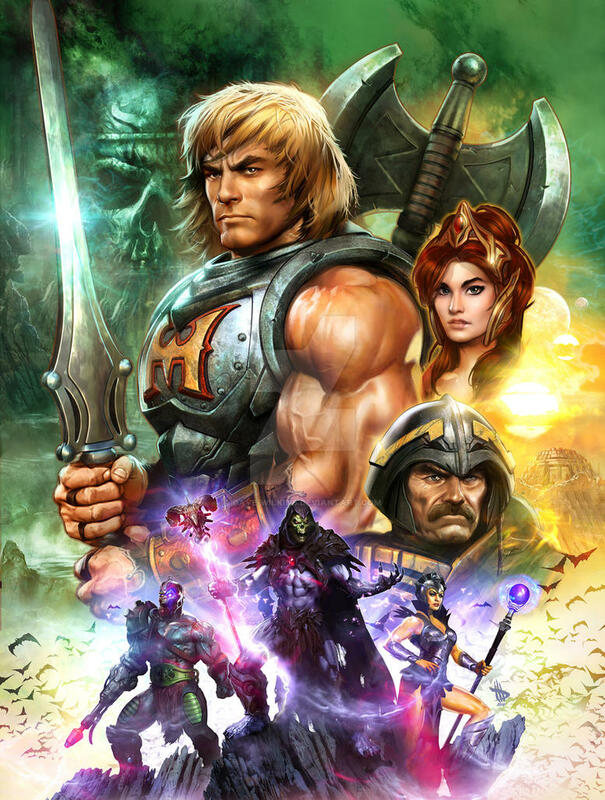 this is insane man, I can imagine a new He-man movie looking like this. Incredible! I love your work! 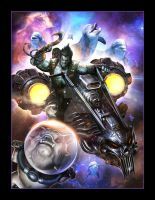 I have met Dave at Comic Con San Diego and purchased this amazing poster and of course had Dave autograph it for me. This is the best poster I ever had! Thank you and well done Dave you are truly an amazingly talented artist! Awesome !!! 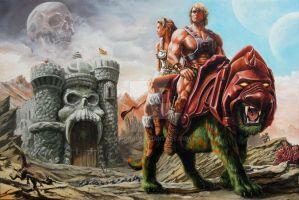 He-Man actually looks like....He-Man !!! Not some poor imitation. I like the classic-ized Battle Armor version. 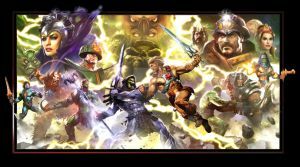 Looks like He-Man's wearing bits of tape over his fingers. Is this a new cover for a comic or something? Soooo is this a poster?! HA!! Wait until you see the next one!! 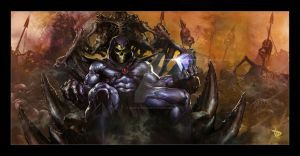 This is the coolest He-Man/M.O.T.U. artwork that I have seen in a long time if not ever! Movie poster quality at its best. Well done. Right on!! Thanks so much!! Right on, Thanks very much!! 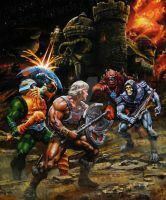 I never realized ( remember) that battle armour He-man has a H instead of an Iron Cross. Oh how I wish I didn't break all my old figures. Excellent work.